Campus Ministry provides opportunities for students to live out its guiding principle: to develop and strengthen student awareness of the presence of God in their lives. Peer Ministers are upperclassmen who are dedicated to working with their peers in many different ways. The main focus of the Peer Minister is in the areas of faith development and service, while also making valuable contributions to the well-being of students. 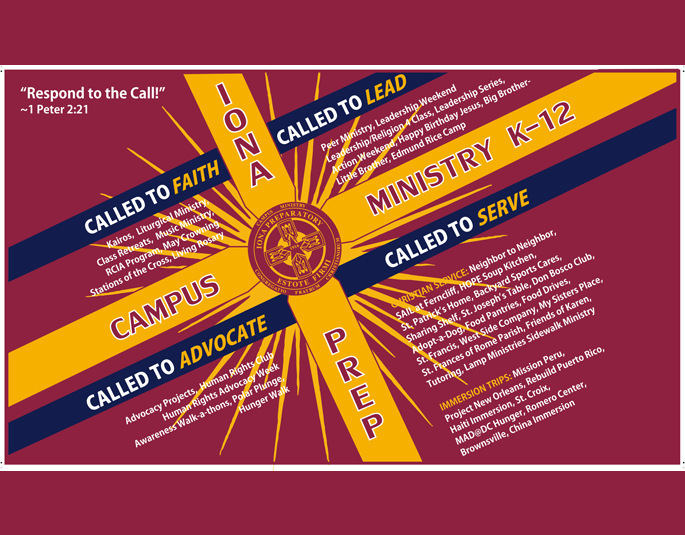 Please click through the different aspects of Campus Ministry on the side menu.